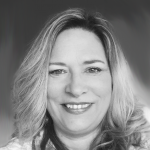 I have been posting a monthly feature and technically this is the one I intended to get posted in May. Due to upcoming commitments to different crafty projects I am going to change the frequency of this post to every other month. All these projects are done with personally purchased items. I do these posts to show other ways to use these included goodies in addition to all the inspiration included in the magazine. The issue I used for this month is from Stamping Magazine, which is the first one I've purchased. 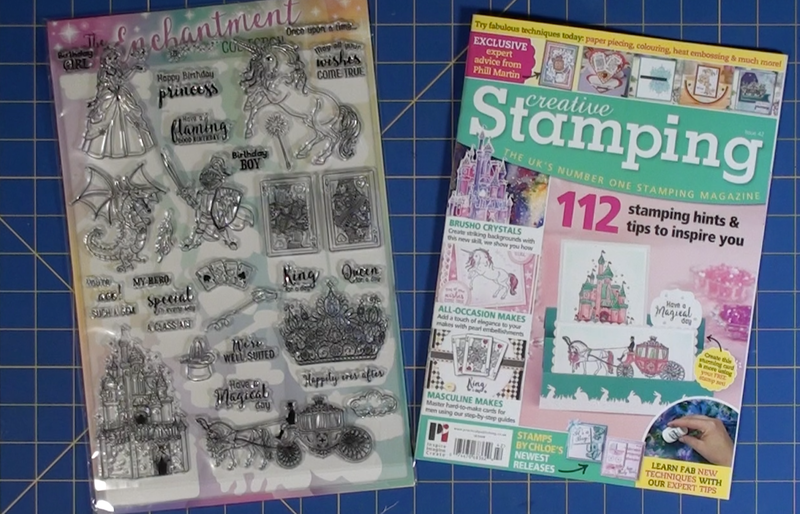 This issue had a truly amazing gift with purchase, a set of 32 stamps! Wow!! The general theme of the set is fantasy and magic, including images such as a large unicorn, a dragon, knight and castle. There are some adorable playing card images which will make great masculine cards. There is lot that can be done with the set, so it was hard to decide what to focus on first. I am in the U.S. and I found this magazine at Barnes & Noble. I generally buy and create the cards within a week of buying the magazine. I made several card prototypes and chose 4 to feature here. I did use some products/materials in my stash that are not included in the magazine. Many of them should still be available or readily substituted if they are of particular interest. 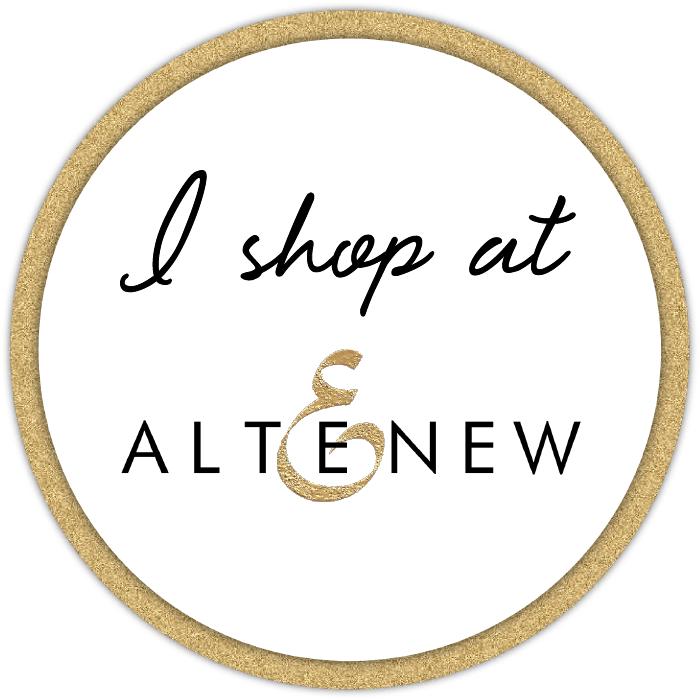 Please feel free to leave me a comment or send a message if you have questions about any of the products used. 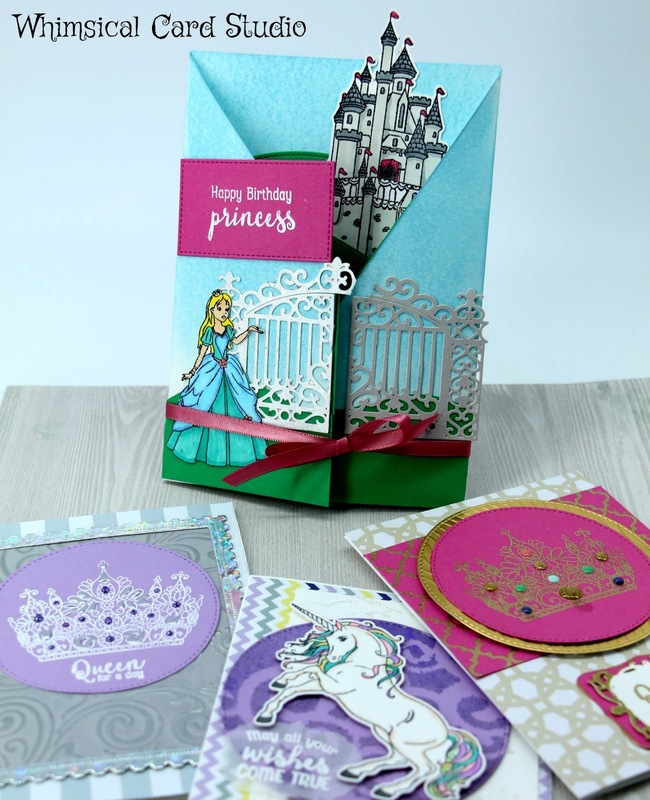 The biggest project is a scene built using the castle, horse and carriage, and princess. The finished card is slightly taller than 7", but would fit into a standard A9 size envelope if it needed to be mailed. I started with a standard letter size 110# white cardstock. I cut the long side down to 7" so the entire piece was 7"H x 11"W. I scored the card vertically at 3" and 8" (shown below) in my mockup. I then cut an angle from the left hand side starting at the scored edge to a point 3" below the top and on the right hand side I cut an angle from the 8" score line to the outside edge at 2" above the bottom. The grass was cut from an 8 1/2 x 11 piece of layering weight cardstock in green. One large piece was cut to the same general dimensions as the white base, but trimmed more (at the bottom to leave white space at the top. Before adhering the green cardstock, I used an ink blending technique with Distress Ink in Tumbled Glass to create a blue sky background on the inside of the card near the top as well as on the front panels as seen when the card flaps are folded inward. Using Lawn Fawn's stitched hillside border dies, I die cut the top edge in two steps to create a nice and precise curve. 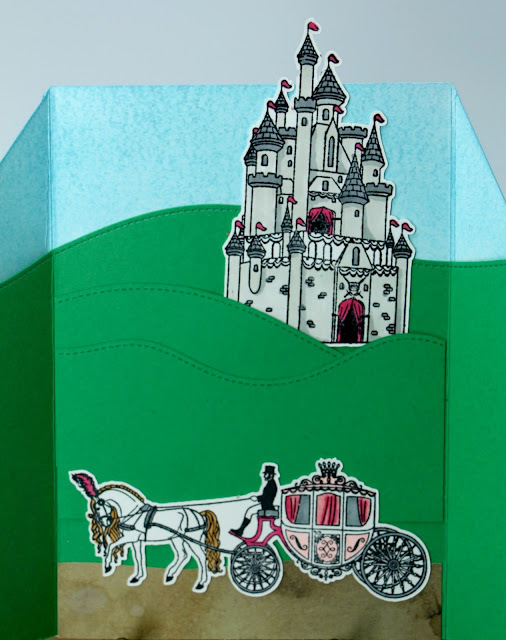 I also cut a few extra pieces and die cut the top edge to add in the middle to create the rolling hills effect for the castle. I adhered the green cardstock to the inside middle with permanent adhesive (Tombow double sided tape) and left the outside unglued temporarily. When folded, the green cardstock had to be trimmed so it would not stick out from the edges of the white. After that I adhered with temporary adhesive on the sides. It seemed to work best this way with closing and opening the card. I wanted the effect to be continuous for the "lawn". 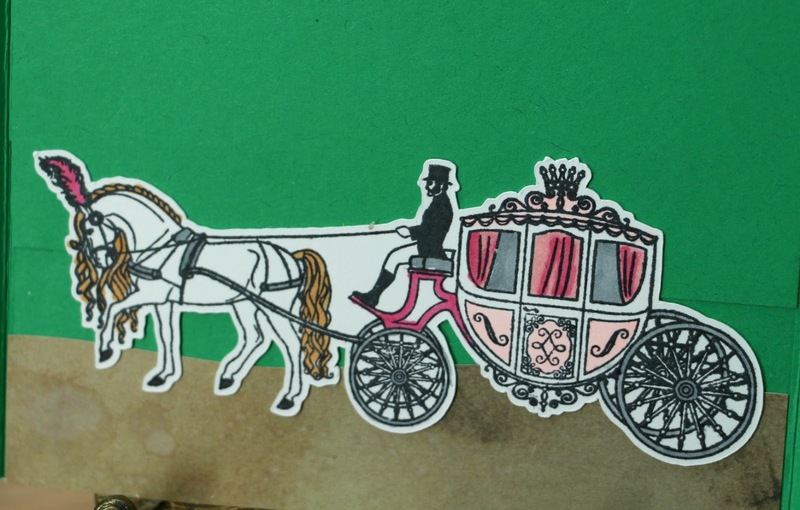 I added a piece of brown distress patterned cardstock to represent a road for the carriage. The castle, princess and horse and carriage stamps were first stamped onto white cardstock, then I used my new Brother Scan and Cut 2 to fussy cut the stamped images before coloring them with Copics and Spectrum Noir alcohol markers. They could be cut by hand as well. The gate I added to the front is not from the magazine -I used a Spellbinders die that I already had in my stash to make the gate for the front since it added so much to the overall effect. 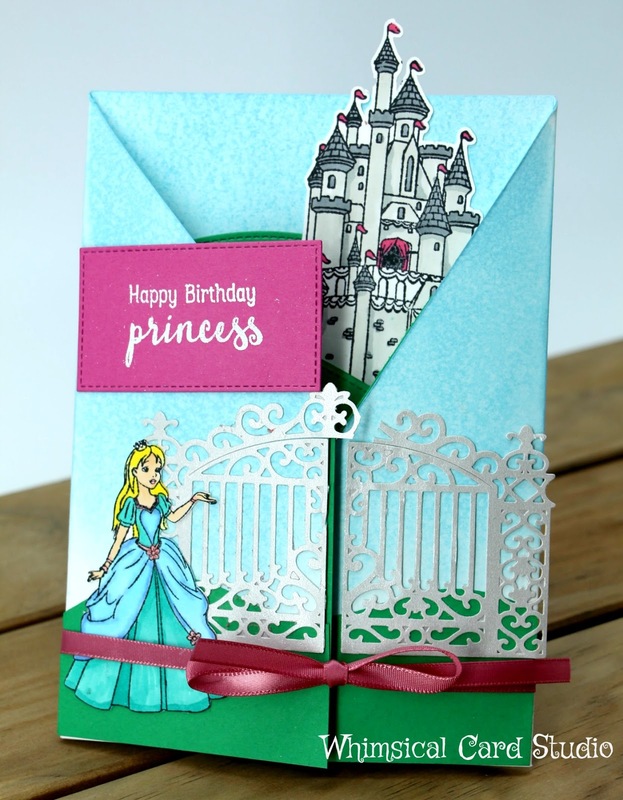 I placed it so that the center of the gate would line up with the opening of the two flaps and placed the princess die cut off to the left hand side to be in "front" of the gate. The cardstock used for the gate is a slightly metallic light gray - low key enough in color to not steal the spotlight. 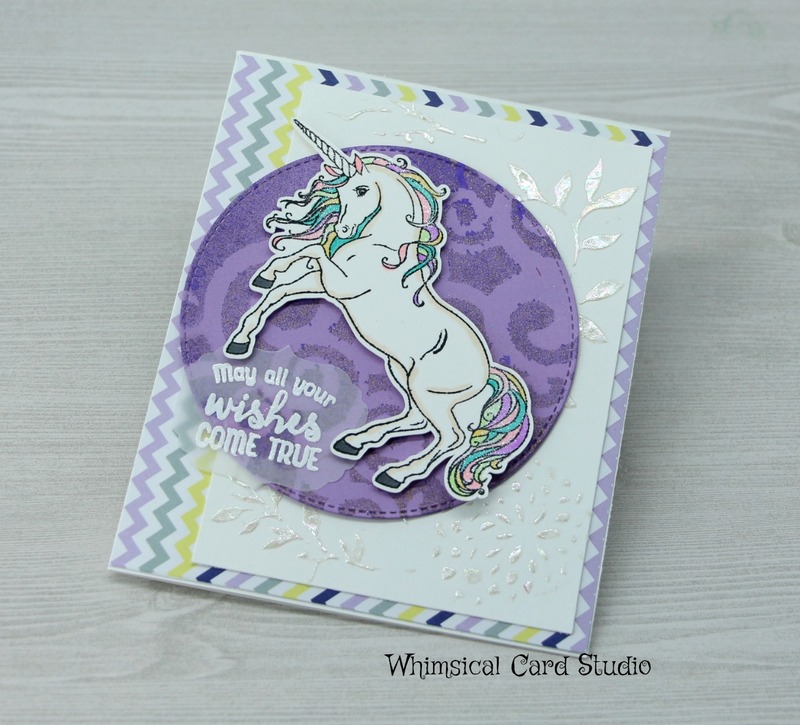 The unicorn was stamped onto white cardstock and cut out with a Brother scan and cut 2. I then colored the mane and tail with lots of pastel Copic colors and added some brown gray to the horse body to add shadow and dimension. the mane and tail were further enhanced with a Spectrum Noir clear sparkle brush marker. The layers for the card include the patterned paper base in chevron, followed by a white layer that had foil transfer gel (from Decofoil) added through a stencil, then foiled with opal foil. The stencil I used has a leafy pattern to it, but the pattern could be almost anything, since the main purpose is to add some shine without taking away from the card's focal point. 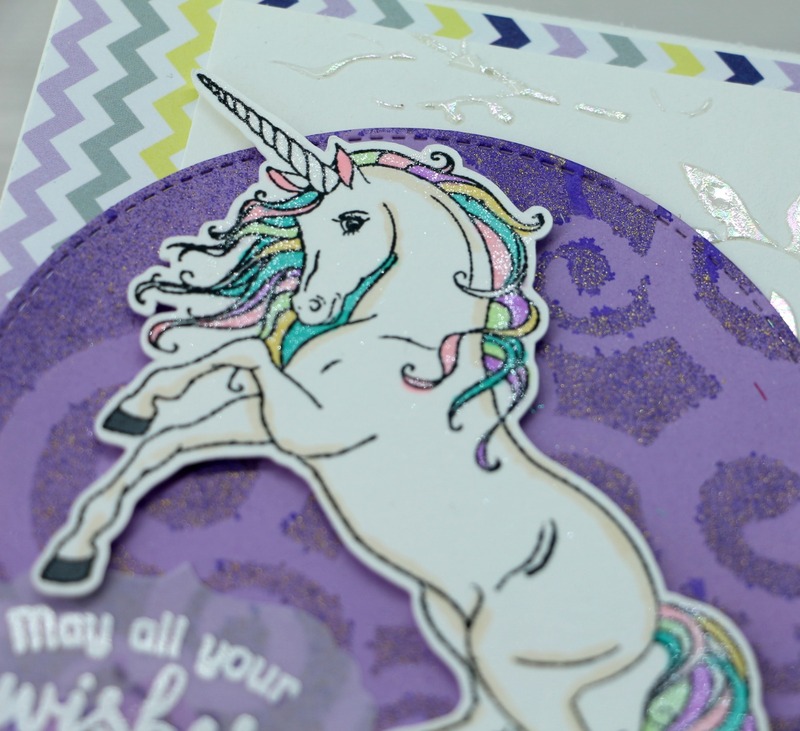 The purple circle under the unicorn is a pattern created from using a Cricut cut stencil I had in my stash with lots of swirly flourishes (not commercially produced). I sprayed on Angel mists (two colors) in purple and gold through the stencil onto basic lavender cardstock. Any stencil could be used that suits your fancy or you could just mist the color on directly and bypass the stencil. The unicorn was then popped up on foam tape. the sentiment was stamped and heat embossed onto a piece of vellum in white embossing powder. 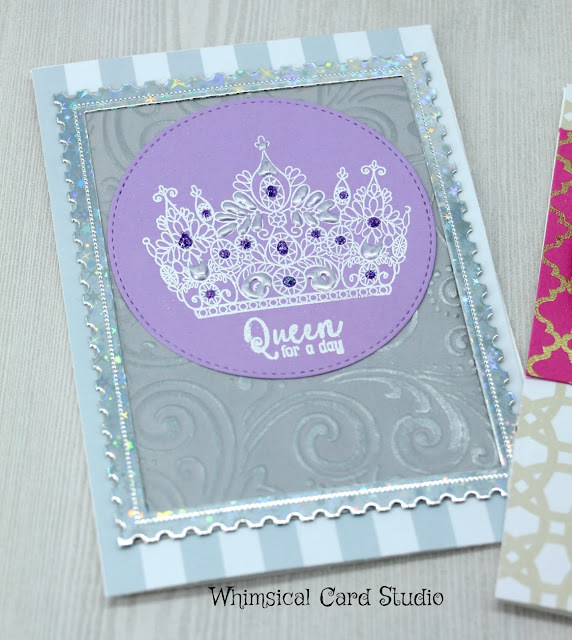 I used lavender and hot pink cardstock as the base to create two similar yet different cards. I embossed the crown stamp in white onto lavender and in gold onto the hot pink. I added embellishments to the lavender using Nuvo drops and used enamel dots on the gold crown. 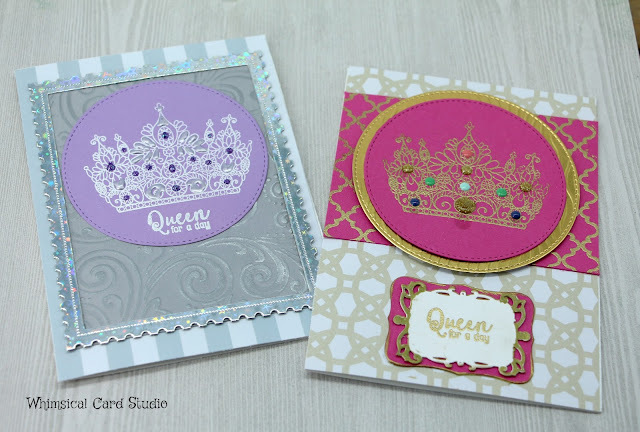 The embellishments should be done AFTER die cutting around the crowns. I made the mistake of embellishing one of them first - luckily it still turned out ok. Pink card: I die cut a circle around the crown. I layered it onto a slightly larger die cut circle from pre-embossed metallic gold cardstock. 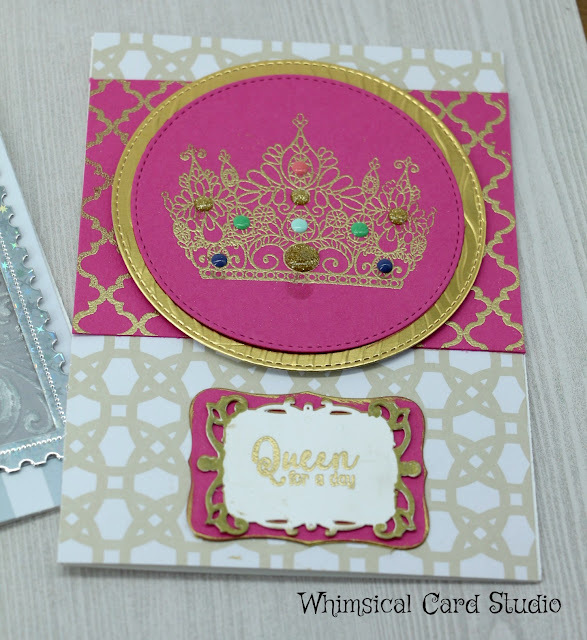 I created a pink band by stamping it with a background stamp with Versamark and embossed with gold powder (same as crown) before trimming it down to be the width of the card base (A6) and the height a bit smaller than the die cut circles together. I used a neutral patterned white paper for the base layer, then added the pink band followed by the die cut circle piece. The sentiment was stamped onto a separate white die cut piece using a Spellbinders die and a pink base in a basic shape to go underneath. The edges of both these pieces were dragged across a gold ink pad. I went back to the white piece and added more detail around the edges with a gold metallic marker before adhering to the card front. 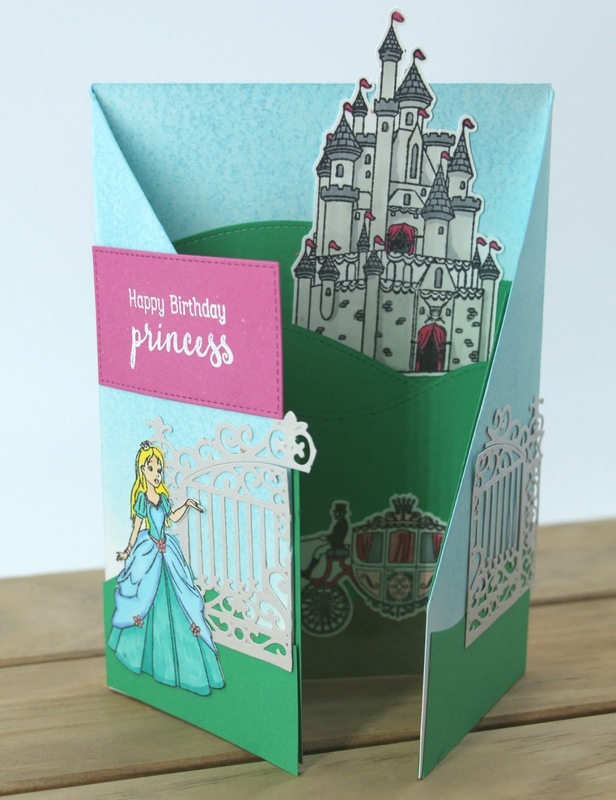 The finished card front was glued onto an A6 card base. When I saw the playing card stamps, I knew they would be perfect for masculine cards. I already owned a Darice embossing folder with an outside frame of shapes that complement the cards with hearts, spades, etc. I used this on a very glossy black cardstock for my base layer. I selectively colored the "cards" in red, black and gold before adding a glossy finish to them. To add some contrast to the black, I cut a piece of red cardstock to fit inside of the embossed frame - one of my existing MFT rectangle stitched dies was perfectly sized to do this. 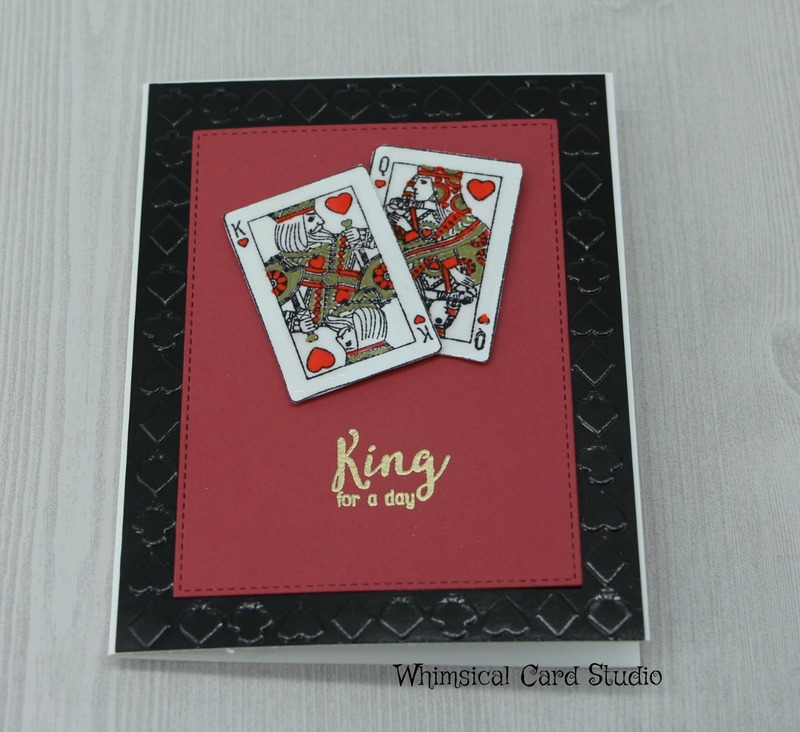 I used the "King for a day" stamp as the sentiment directly embossed onto the red cardstock in gold.